Space-time analysis is a rapidly growing research frontier in geography, GIS, and GIScience. Advances in integrated GPS/GIS technologies, the availability of large datasets (over time and space), and increased capacity to manage, integrate, model and visualize complex data in (near) real time, offer the GIS and geography communities extraordinary opportunities to begin to integrate sophisticated space-time analysis and models in the study of complex environmental and social systems, from climate change to infectious disease transmission. This volume specifically focuses on research frontiers, comparative research, and research and application interactions in this field in the US and China, arguably the two most dynamic loci for this work today. 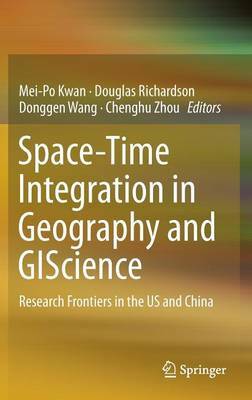 The contributions to this book, by top researchers in China and the US, productively highlight the differences and similarities in approaches and directions for space-time analysis in the two countries. In light of the recent rapid progress in GIScience research on space-time integration in both countries, the book's focus on research frontiers in these two countries will attract great interest in both countries and in other parts of the world as well as among related disciplines. In addition, the book also explores the impact of collaborative research and publications underway in this area between the US and China and will provide an overview of these collaborative efforts and programs. This book will not only be of interest to university-based GIS researchers and students, but also to those interested in this new area of research and applications like researchers and developers in business, internet mapping and GIS and location based services (LBS).